﻿ How do League ELO boosters win games? How and why do LoL Elo Boosters ablt to carry games alone? What is an ELO boost? Meaning of the ELO boosting is the process when a pro player plays on your account until it reaches the position that you desired. If you were ever interested in how elo boosters can carry and win games and how does LoL elo boosting work that hard and bring accounts on top of the league ranked queue this article is for you! They are great at creep slain (CS). This is the first league mechanic improvement one should aim at if he wants to improve perfomance. But there are a few tricks – attacking enemy when he intends to finish a minion giving him a choice to hit back and lose minion or get minion with free damage. Zoning when you are ahead by freezing lane which would prevent lane from being pushed back to opponent side. Creep slain under turret is important as well. Elo boosters avoid receiving free damage while this problem is major for people who play in Bronze – Gold leagues. This skill goes one step with creep slain, because if you lose HP you lose the ability to creep slain propely meanwhile you can lose HP during CS. Knowledge of how to balance minion slaining and lane changes against enemy comes with time and experience. They know which champions are good at carrying e.g. Katarina, Pantheon, Lucian, Jarvan IV etc. There is own meta in lol elo boosting, still there are great LoL ELO pushers who use Amumu or Fiddlesticks as their main choice during elo boosting while those champions are not popular among our other employees. Champion pick is not as important as how you master certain champion (however most of them avoid support role and about 60% of elo boosters prefer mid lane or jungle positions). We have written special article about elo boost champions where you can learn LoL boosters most common picks. They know how to snowball in league and they would keep non-stop pressure on the enemy team when they get advantage. This, in turn, leads to further huge advantage for the whole team. To carry elo booster has to affect more than the only lane he belongs to: e.g. if he is on top lane he has to make such pressure that enemy jungler will have to babysit his lane (or top lane turret will be lost or booster would start roaming mid and enemy part of jungle) and even then elo booster is often able to make successfull one versus two fights. As a mid laner, our boosters often use constant roaming as the way to affect other lanes and carry the game. Often ELO boosters are strong leaders with deep understanding of the game process. Making right calls for their team (e.g. when to rush Baron Nashor or Dragon, make a trap, retreat or engage) can often become a solution that will determine which team would be the winner. Those answers should be informative for people who is wondering how to elo boost in league. Huge experience combined with great league skill leads to capability to carry ranked games alone. You can experience first hand how it’s to play on high elo league. Playing against players whose skill is higher than yours is a best way to improve your own league performance. If you don’t have much to play league but you know that your real league is higher than current then elo boosting is an option. Go into a bot match with no bots, practice getting 80cs by 13 minutes (gold tier) then once you have that down work on getting 80 cs while alternating freezing a lane (only last hitting minions, no auto attacks) and pushing a lane (getting every attack in possible while still maintaining good last hitting. After that add in bots and repeat both steps until you succeed. Once you have that down you should aim for 100cs at 13 minutes for plat level farm with either bots or normal matchmade games. It is a slow process but it pays off immensely! I net 80-90cs by 10 mins. Side note: take off all runes and masteries, its important. Oh, this is a great article, but some points are unclear to me, like how they force a team to obey? When i see an opportunity to kil a dragon or a Baron Nashor, i’m just being ignored, and this is really frustrating. I’m lost so much ranking games just because i cannot convince my team to do the objectives. Oh and second question rised in my head just now: Do you guys use Riot’s training tool? I see you written that you have a great CS, but how you guys control your champion, know his attack animations, projectile speed and damage and etc? You used training tool to learn every champion, or it is just natural? I want to increase my creep slain rate, but i do not want to spoil games to my potential comrades. I’ve recently leveled up an account to lvl 30 and started playing ranked. I started in bronze 2. I’m silver 5 right now, i jungle. Your team will listen to you if they see you performing well. It’s so easy to carry right now, I was actually stuck in silver on my main for a while a while back. It’s so easy now. Git Gud and order an elo boost. Really, i could not find any better way to quickly promote my account. This company really helped me a lot, and i really appreciate it! 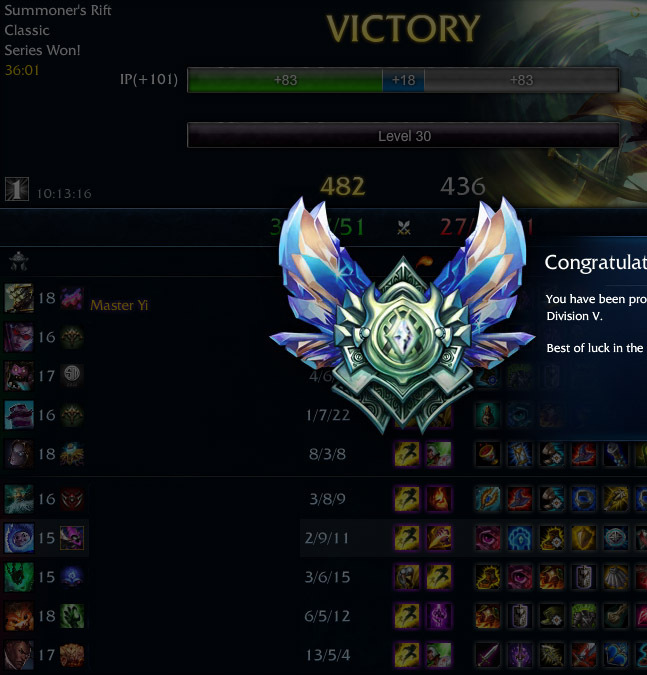 Well, i think if you are from diamond league it’s not hard to win most games on bronze. But if you are boosting at platinum it will be much harder and only a few people can do that. Thus it costs what it costs.